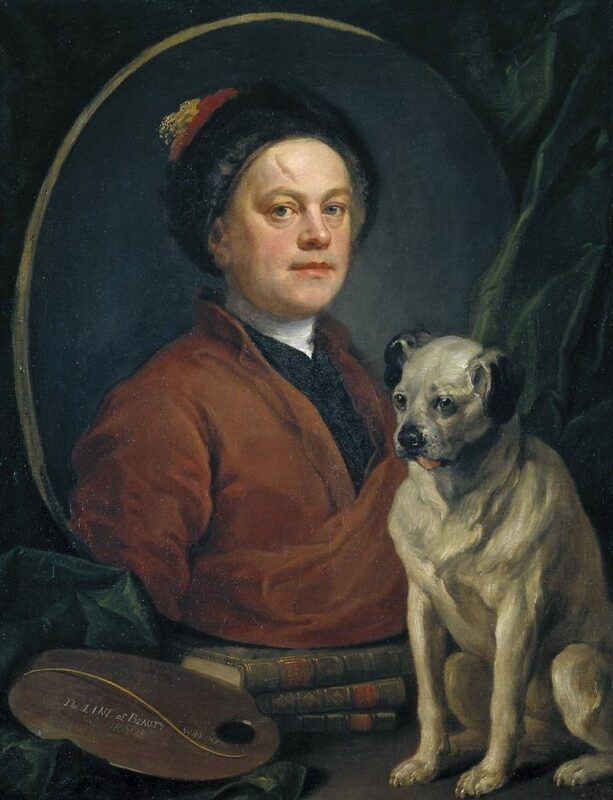 William Hogarth was one of the greatest English printmakers, satirists and cartoonists of the 18th Century. 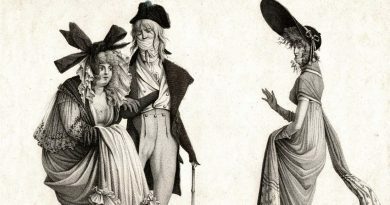 His work ranged from realistic portraiture the series of comic book style strips of pictures he called “modern moral subjects,” such as A Harlot’s Progress and Marriage A-la-Mode. 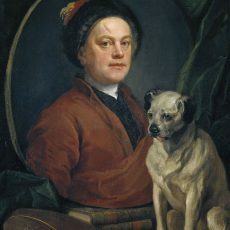 Hogarth was born in London to a lower middle class family whose fortunes vacillated but were dealt and extreme blow when his father, a teacher and classical scholar, was thrown into prison because of unpaid debts. 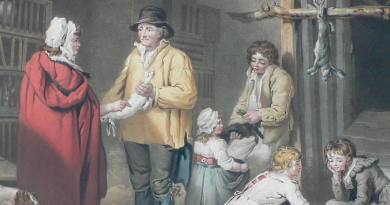 With their social message, Hogarth’s works were widely reproduced and very popular and influential in his lifetime. This wonderful work by William Hogarth represents the quarrel between two great 18th century satirists. 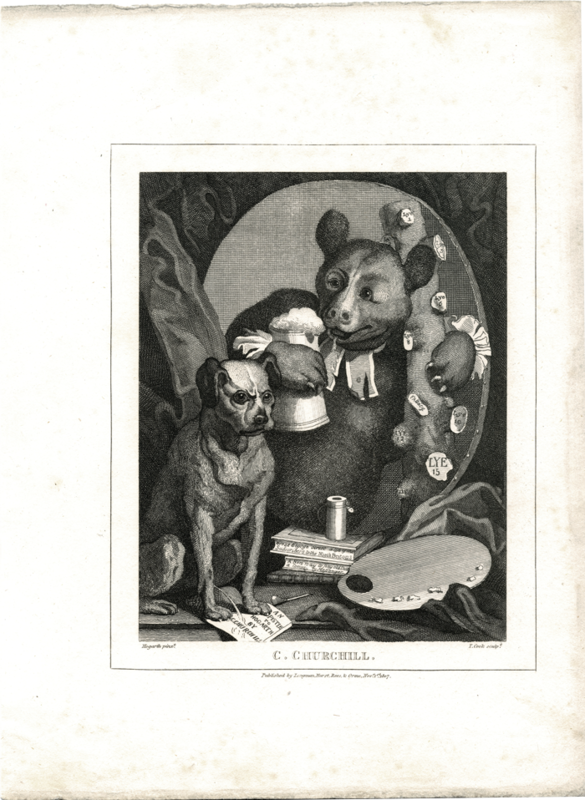 Hogarth depicts British poet and satirist, Charles Churchill (1731-1764) as a drunken bear hugging a club made of lies whole Hogarth’s pet bulldog urinates on Churchill’s Epistle to William Hogarth, a long poem in which Churchill attacked Hogarth for vanity and hypocrisy. The complex feud between the two men arose in part over the trial of free expression champion John Wilkes, and an engraving Hogarth made of Wilkes as a demonic figure. 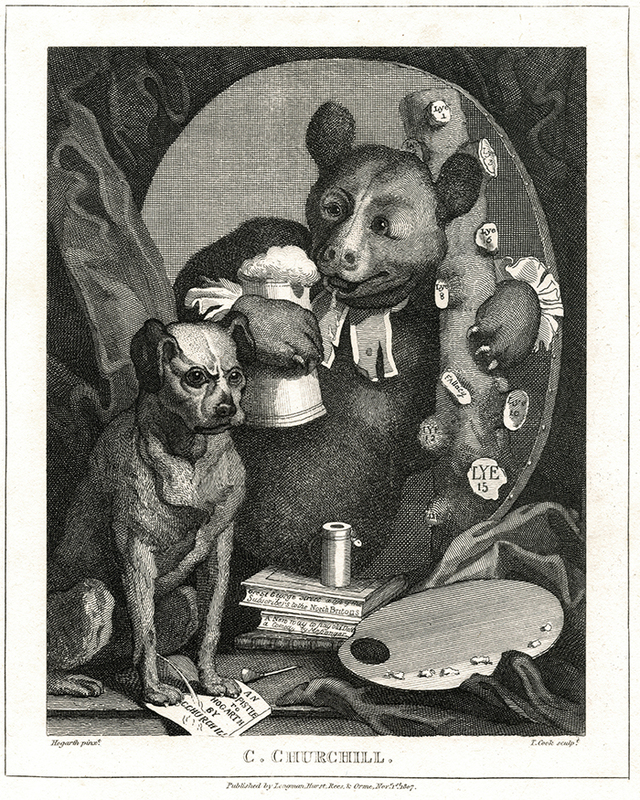 This is a 1807 steelplate engraving made by Thomas Cook publishing house approx 40 years after the original copperplate was created by Hogarth in 1763. 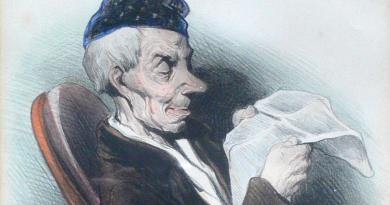 The print is annotated: C. Churchill. 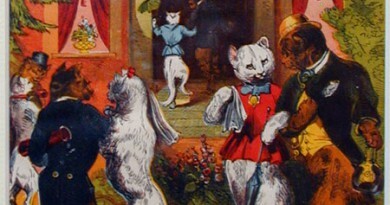 / Hogarth pinxt. / T. Cook sculpt. / Published by Longman, Hurst, Rees, & Orme, Nov. 1st. 1807. 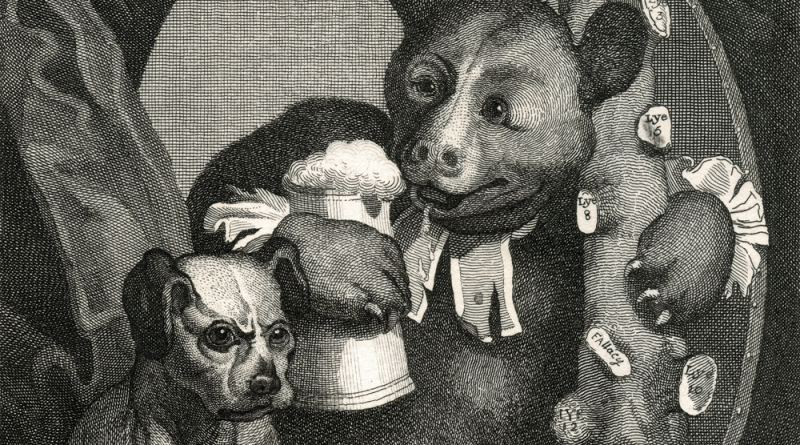 The listing on the left is for the 1807 antique engraving. This unique image is also available on posters, canvases and acrylic wall art reproductions, perfect for a man’s den, pub, bar or tavern.